D’fhill mé abhaile ó sheachtain i gCeatharlach agus bhí carn mór litreacha agus beairt ag feitheamh orm. Seic ó TG4 (moladh leo), carta bainc nua, carta Bhailintín mall (ó mo neach ar sheas mé di) agus trí chlúdach litreach mhór lán le cóipeanna de Comhar. Scéal fada scéal mo thaithí ar an iris seo – agus d’fhéadfá a rá nach caidreamh ró charadach atá eadrainn. Ach le déanaí bunaíodh ‘cairdeas Facebook’ eadrainn – caithfidh gur duine atá ag obair san oifig nach bhfuil morán eolais aige faoin gcaidreamh a bhí agam leis an iris atá i gceist. Tar éis dom chúpla teachtaireacht a sheoladh chuige, teachtaireachtaí ag léiriú mo mhí shasamh leis an gciorcal drúisiúil agus ana chúng de scríobhnóirí a bhionn ag líonadh an stuif bhán san iris seo. Ar chlúdach an eagráin is déanaí, tá íomhá atá ag tagairt don sraith íontach a bhí ar TG4 le déanaí, Na Cloigne. Is é Na Cloigne ‘an ceann is fearr fós’ ag TG4 de réir an chinnlíne – agus deirtear linn go mbeidh leirmheas istigh ag Seán Tadhg O Gairbhí, iar eagarthóír Foinse, ar an sraith chun tús a chur lena cholún nua ‘teilifíse agus cumarsáide’. Tá deireadh feicthe agam nuair atá colún teilifíse ag fáíl tús áíte in iris mhíosúil mar seo. An bhfuil aon tuiscint ar leith ag Seán Tadhg ar chúrsaí theilifíse nach bhfuil ag an dara duine. Ní doigh liom é. Bhí an leirmheas dearfach – maith go leor – ach aon duine a chonaic an sraith seo, bhí siad á moladh, mé féin ina measc. Go deimhin tá sé chomh fada ó bhí an sraith ar siúl – mí Eanáír uair eigean gur geall le stair atá ann anois. Ní bheidh sé buioch díom má dheirim gur scriobhnóir maith é Seán Tadhg – ach is cur amú a chuid ama agus talainne é bheith ag scríobh colún teilifíse i Comhar. Ba cheart do gné alt mór amháin a dhéanamh i ngach eagrán faoi rud spéisiúil is trathúil – gné eigean de chúrsaí reatha – seachas a bheith ag gabhail do chacamas mar seo. Ansan tá seacht leathnach caite le dráma raidió de chuid Gabriel Rosenstock a fhoilsiú. Ach cén fath go bhfuil dráma raidió á fhoilsiú in iris cosúl le Comhar – nach fearr é a chur inár lathair mar…dhráma ar an raidió? Sin trian den iris lán, áfach. Níl eagarfhocal san eagrán seo – ach tá litir chuig an Eagarthóir ann mar chúiteamh. Mea Culpa atá ann faoi bhotún a rinne scriobhnóir in eagrán a fhoilsíodh roimhe seo – agus is cinnte go bhfuil aiféala ar an scríóbhnóir faoin bhotún a deineadh. Ach an bhfuil gá scéal chomh mór a dhéanamh as agus gan eagarfhocal a bheith ann ar chorr ar bith? Líon an stuif bán, a mhic, is é sin an cur chuige atá ar chúl seo ar fad chomh fada agus gur féidir liom a dhéanamh amach. Seo muid ar leathnach 4 theana féin. Bhí an príomh leathnach againn, ansan fógra, ansan leathnach an ‘chláir’, (athrá ar an méid atá ar an bpríómh leathnach ach ná raibh uimhreacha na leathnach luaite leis na h-altanna ar an leathnach sin). Ansan tá colún ag Gabriel Rosentock – (tá trian den iris, 10 leathnach as 30) – ina dheineann an scriobhnóir cur síos ar threimhseachán frithshibhialtachta darbh ainm ‘Green Anarchy’, ábhar atá suimiúil b’fhéidir ach cé léifeadh é? Tá teibíocht agus teibíocht ann – ach cheapfainn go bhféadfaí líon na leitheoirí Ghaeilge ar shuim leo fealsúnacht an ainrialachais a chomhaireamh ar aon láimh amháin. Maireann an cholún seo trí leathnach agus faoin am atá an chead paragraf léite agam, dá fheabhas é mar scriobhnóireacht, tá suim agam scian a chur i bputóg éigean. Ina dhiaidh sin tá alt ag PJ Mac Gabhann ina dtugann sé le fios dúinn go mbaineann sé le ré eile, ré nuair nár nós le daoine bheith ag taisteal ar éitleáin. Oicé. Agus cad faoi sin? Is cosúil gur tháinig sé slán nó seo é ag scríobh mar gheall ar a aidbhintiúr eitleoireachta. Slán mar a n-ínstear é. An bhfuil aon rud eile le rá faoi ach go nglacann sé dhá leathnach – téacs agus léaráid mór dubh agus bán!. Dhá leathnach eile caite le colún ón Athair Réaman O Muireadhaigh agus é ag caint faoi Naomh Bríd. Gné cliste leagan amach anseo. Tá an téacs foilsithe ar an leathnach i bhfoirm chrós Bhríde – ach fagann sé go bhfuil an alt nach mór doléite. An buntáiste – líonann sé leathnach le líon níos lú focail agus ansan tá leathnach lán focail eile ar an gcéad leathnach eile. Líon an stuif bhán, a mhic. Is é sin an tslí chun é a dhéanamh. Ansan seacht leathnach den dhráma raidió thuasluaite. Táimíd ag leathnach 17 anois, níos mó ná leath bhealach. Anois tá gearr scéal againn – maireann sin ceithre leathnach. Is cliste an slí é seo na leathnaigh a líonadh – gearrscéal a thabhairt ar an bpíosa ficsin cé gurb é an dara alt is faide san iris! Anois táimíd ag Lch 21. Leathnach ‘filíochta’ a thugtar ar seo cé nach féidir liom a dhéanamh amach go bhfuil dán ann a thabharfainn filíocht air. B’fhéidir go bhfuilim ró chruaigh. Ar a laghad sin leathnach 21 líonta – trí ‘dhán’ ghairid – 22 line ‘filíochta’ móide pictiúr de éan. (Baineann an chéad dán le spideog mar sin tá an íomhá ábharthach). Happily for the historian, the politician and the government, nearly all the modern Irish revolutionists are journalists. Níl ach leathnach amháin ag an alt seo agus anois táimíd tagtha go dtí léirmheas teilifíse agus cumarsáíde Sheán Thaidhg. Na Cloigne agus That’s All We Have Time For atá faoi chaibidil aige. Ar ndoigh má tá iris Ghaeilge sásta spás a thabhairt do chlár chomh h-amaideach leis an scig chlár sin, is fiú ceisteannna a chur faoin iris agus faoin bhunús atá leis. Anois táimíd tagtha go dtí leathnach 25 – alt le Ruairí O hEithir faoin cheannlíne spreagúil agus iomlán iontuigthe ‘Agashingura Cumu’. Anois is léir go bhfuilimse chomh dúr agus chomh neamh liteardha sin nach féidir liom bheith ag plé le h-iriseoireacht ar chorr ar bith. Nó mura dtuigim laithreach céard atá i gceist anseo, is cinnte gur dúramán mé. Cad faoi iontróid bheag ag míniú céard atá ag titim amach ar an dhá leathnach seo chun mé a mhealladh chun an chuid eile den alt seo a léamh? Beag an bhaol. Dhá leathnach eile den stuif bhán líonta. Anois táimíd tagtha go dtí Leathnach 27, colún ‘Le hAer An tSaoil’ le Mícheál O Ruairc. Tá sé ag míniú dúinn conas mar a chaith sé tréimhse na hAthbliana agus an Nollaig Bheag etcetera ar feadh dhá leathnach. Luaitear linn go bhfuil sé ina thuar dóchais don cholúnaí go bhfuil an Straitéis 20 Bliain don Ghaeilge foilsithe. Deir an Ruarcach nach bhfuil dabht ar bith ann ach go bhfuil ‘cic sa tóín’ ag teastáíl ón ‘teanga’ agus ‘ó chuid díobh siúd atá in ainm is a bheith i gceannas ar chaomhnú agus ar fhorbairt na teanga sa tsochaí’. Tá sé rí shoiléir le tamall de bhlianta anuas go bhfuil easpa samhlaíochta agus easpa fuinnimh ag gabháil le cur chun cinn na teanga i gcúrsaí oideachais agus sa Ghaeltacht ach go h-áírithe. Agus in irisí Ghaeilge cosúil le Comhar, a Mhichíl. File é an Ruarcach, de réir dealraimh, agus chuala é ag aithris a dhánta ar Eigse Bheo ar Raidio 1 an oíche dheireannach. Focal filíochta níor chuala – ach alán focail. Níl a fhios agam cén fath go mbeadh an fear seo ag scríobh in aon iris nó is beag atá le rá aige. Tá daoine ann nach n-aontódh liom ar an gceist sin b’fhéidir – ach nach cuma. Is ball bhoird é Mícheál ar Comhar agus b’fhéidir go bhfuil sé ag iarraidh cuidiú – bheadh colún téigeartha ar chúrsaí na míosa go deas in iris – ach ní h-é ‘Le hAer an tSaoil’ an cholún sin. Ball bhoird eile atá ag líonadh leathnach 29. Duine de ‘scriobhnóirí úra na Gaeilge í Rachel Níc Fhionnáin. Seo alt faoi chúrsaí lá fhéile Vailintín agus rósanna rúnda is a leithéid. Beag nua atá le rá ann ach ramhaillí nach bhfuil ró ghreannmhar nó ró spéisiúil timpeall ar an méid a dúirt Wilde – Is Tús É Féin Ghrá do Románsa ar feadh an tSaoil. Bhí an abairt sin níos fearr i mBéarla gonta Wilde féin. Ach líonann sé leathnach agus ansan tá leathnach 30 gafa le fógra. Sin é, triochadh leathnaigh bána líonta. Eagrán eile de Comhar seolta chun na clódóra. Costas don cháiníocóir? Ag Dia is ag Foras na Gaeilge amháín atá fios. Maoiníonn an Fhoras an iris seo, creid nó ná creid. Fuair mise an beart eagráin de Comhar ó Comhar. Tá eagráin ann ón bhlian seo chaite freisin. Cónaím i nGaeltacht Mhúscraí. Níl teacht ar an iris anseo. Blian ó shin bhíos ag tabhairt léachta in Ollscoil Chorcaí agus phioc mé suas eagrán de Comhar. B’shin an chéad uair a chonaic mé an iris ón athsheoladh. Cúpla bliain ó shin, agus Lá Nua faoi bhagairt, rinne mé iarracht teacht i gcabhair ar Comhar a bhí á ligint chun cáis ag an am sin ag a bhórd stiúrtha. D’aiseirigh sé agus chuireas isteach ar an bpost mar eagarthóír. Ní bhfuaireas an post. (Bhí orm dul faoi scrúdú faoi chúrsaí gramadaí, an dtuigeann sibh agus ní réitim leis an ngramadach!). Ar aon nós, bhí cconspóid agus clampar ann idir sin agus seo agus anois is é Pól O Muirí an eagarthóir. Mar atá léirithe sa léirmheas seo, léirmheas nach bhfuil ró mholtach,líonadh an stuif bán san iris gan aon amhras. Is é sin céad chúram an eagarthóra, an stuif bán a líonadh. Bónas de short é más féidir leat é a dhéanamh le téigear, le substaint agus le stíl. Níl aon bónas san eagrán seo de Comhar, dar liom. Tá aiféala orm anois go raibh láimh agam in aiseirí Comhar. Tá an iris seo chomh marbh le Máirtin O Cadhain agus na laochra eile a scrigh do Chomhar i dtús ama. Ach tá an scriobhnóíreacht ag na laochra sin beo go fóill, rud nach féidir a rá faoin scriobhnóireacht i gComhar inniu. Níl alt ar bith san eagrán seo faoi chúrsaí reatha nó spórt nó cultúr chomhaimseartha na tíre, chomh fada is gur feictear dómsa é. Ní raibh sé i gceist agam léirmheas a scriobh – ach anois tá sé scriofa. Líon mé an stuif bán, gan amhras, ach níor chosain sé pingin ormsa ná ortsa! Foilsiú: 28/02/2010 . igaeilge a d’fhoilsigh. Ranganna: An Ghaeilge, Cultúr. Clibeanna: Comhar, Foras na Gaeilge, nós*. Tá an eagrán is déanaí de nós* faighte sa phost agam – más mall is mithid. Mar is dual don iris tá sé lom lán le h-ailt, griangrafanna is eile. Tá roinnt colúin nua ann – ina measc colún breá motair, an chéad cholún i nGaeilge ar mhótair ar léigh mé agus a bhain mé sult as, agus tá colún nua d’fhir óg aeracha, Buachaill sa Bhruachbhaile. Is dócha gurb é seo an chéad cholún ‘aerach agus Gaelach’ cé go bhfuil a fhios agam go raibh cúpla colúin Gaelacha ag scríobhnóirí aeracha roimhe seo. Is maith ann é, fiú nach mbaineann sé liom. Léigh mé é, agus shíl mé gur scríobhnóir ionraic macanta a scrigh agus go raibh léargas suimiúil aige ar chúrsaí. Bhain mé taitneamh freisin as an gcolún Bhéarla, An Taobh Eile, ar an leathnach Bhéarla. Mhothaigh mé spioraid ‘Ross O’Carroll Kelly’ ann agus bhí sé greannmhar. Cé go gcreidim go bhfuil an coincheap, leathnach Bhéarla in iris Ghaeilge, greannmhar, mothaím nach raibh morán dealramh leis an alt faoi ‘white dwarves’. Ní iris é nós* don dream atá spéis acu i gcúrsaí reatha – cé go bhfuil roinnt cúrsaí reatha ann agus bionn alt spéisiúil ann i gcónaí i ‘Léargas’. An mhí seo tá sé ag plé leis an gcorraíl sa Choiré. Tá colún géar – agus cliste – ag an Seanduine Liath faoi Thuairisc Uí Riain agus mí órd na n-órd rialta. Eagrán mí an Mheithimh an eagrán is déanaí agus níl sé ach direach éisithe. Nílim ag iarraidh lucht a fháil ar an eagarthóir nó ar a fhoireann nó tuigim go bhfuil siad ag déanamh na h-oibre seo, obair íontach, go deonach ach go gairmiúil. Léiríonn an mhoill seo go bhfuil deacracht ann i gcónaí cloí le sceideal docht nuair atá acmhainní gann. Is ró mhinic a bhionn Gaeil ag fáil locht ar earraí Gaelacha agus ag tabhairt droim láímhe dóibh dá bharr. Tá sé tabhachtach, áfach, go mbeadh tacaíocht ag nós ó phobal léitheoireacht na Gaeilge, go mbeadh sintiús agat leis an iris (mura bhfuil ceann agat, faigh ceann anois!) mar go mbeadh sé thar a bheith deacair iris chomh maith le nós* a fhoilsiú amach anseo dá dteipfeadh ar an iris seo. San eagrán seo, tá roinnt mhaith griangrafanna ann agus tá siad ana mhaith iontu féin. Ach ba mhaith liomsa níos mó scéalta a fheiscint – léirmheasanna de na gigeanna seachas gigghraif amháin. Ba mhaith an rud é freisin chun cur leis an díolachán go mbeadh leathnach shoisialta ann – ar nos ocáidí i Foinse+ agus Gaeil sa Phictiúr+ ar nós Lá Nua. Tá na leathnaigh ar dhearadh agus ar ghiúirleidí go maith – ach b’fhéidir go bhfuil gá le níos faisin is smais. Ceist eile: seo séasúr na laethannta saoire. Ach ni féidir go bhfuil na Gaeil óga ar an Camino de Santiago nó táim cinnte go bhfuil léite agam faoin dturas seo, nó turas cosúil leis, san iris seo roimhe. Maith go leor, íontach spioradálta, ach nach dtéann siad in áiteanna eile, oileáin na Gréige, coláistí samhraidh sa tír seo is eile…. Agus is easnamh mhór nach bhfuil aon trácht ar spórt san eagrán is déanai. Tá na craobhacha peile is iomána faoi lán tseol agus curaithe cúige i ngach cúige is an dhá chluiche nach mór fán dtrath seo. Ba cheart go mbeadh tagairt éigean ar sin i nós*, dar liom. An bhfuil aon seans Dara Ó Cinnéide a mhealladh chun colún rialta a scríobh do nós* anois go bhfuil deireadh le Foinse? Bhí trath ann go mbíodh nuachtáin ag cur tairiscintí speisialta saoire ar fáil dá leitheoirí. Ní fheadar an mbeadh sé fiúntach do lucht nós* tairiscint speisialta a chur ar fáil le h-aghaidh saoire do Ghaeil óga ar oilean Gréagach nó a leithéid ar feadh coicíse. B’fhéidir go mbeadh brabhús le saothrú óna leithéid…. Ritheann smaoineamh eile liom ar cheist ghaolmhar ach fillfidh mé ar sin ar ball. Ar aon nós, níl anseo ach racht caradach ón eagarthóir ar an gclaí. Tá nós* ar fheabhas ar fad. Ná bac liomsa! Dá mbeadh an cur chuige céanna ag mo ghlúin, bheadh iris fónta cúrsaí reatha agus cultúrtha ann fadó. Ná h-abair é, dein é! Foilsiú: 14/07/2009 . igaeilge a d’fhoilsigh. Ranganna: An Ghaeilge, Cúrsaí Reatha. Clibeanna: Foilsitheoireacht na Gaeilge, nós*. An ceart glan ag Pól Ó Muirí! B’fhéidir go bhfaigheann sibh deacair an cheannlíne sin a chreidiúint ar thrachtaireacht ar an mblag seo. Ná bí ag caint – níl sé leath chomh deacair agus é a fheiscint ón dtaobh seo. Tá sean rá ann sa Bhéarla, go mbionn fiú sean chlóg ceart dhá uair sa ló – sin míniú amháín a thabharfainn ar an scéal. Ach is é an míniú eile go bhfuil alt inniu ag Pól Ó Muirín, mo shean chara(! ), i dTuarascáil an Irish Times faoi eispearas a bhí aige le Foras na Gaeilge, an chomhlacht teanga tras teorainn atá anois i bhfeidhil ar fhoilsiú leabhair Ghaeilge. Roimhe seo b’é Bórd na Leabhar Gaeilge a bhí i bhfeidhil ach chuir an tAire Ó Cuív deireadh le sin ag an Oireachtas i gCathair na Mart i 2007. Ba é Aire na Gaeltachta Éamon Ó Cuív a chuir deireadh le Bord na Leabhar Gaeilge agus a d’aistrigh cúram na leabhar faoin Fhoras. Níor mhínigh sé go sásúil riamh cén fáth go ndearna sé é sin agus níor chosúil go raibh gach foilsitheoir ag iarraidh athrú den sórt. B’fhéidir go ndearna sé an t-athrú i ndúil is go dtiocfadh tuilleadh feabhais ar chúrsaí scríbhneoireachta. I gcás an scríbhneora seo de, ní hamhlaidh an scéal. Roimhe seo, bhí an seanbhord leabhar neamhspleách ar an Fhoras – agus seo ceann de na rudaí díomácha faoi chinneadh seo an chláir – thug an seanbhord tacaíocht dom leabhair eile d’fhoghlaimeoirí agus do dhéagóirí a scríobh mé. Tá sraith bheag leabhar agam san earnáil seo nach mbeadh scríofa murach an tacaíocht sin agus bhain cuid acu gradaim – aitheantas dom féin agus, gan amhras, don bhord as iad a choimisiniú an chéad lá riamh. Níl mé orthu sin a thaithníonn leabhair Uí Mhuirí liom ach bhéinn ag ínsint bréig dá ndéarfainn ná raibh fiúntas lena scéalta bleachtaireachta faoin bhangharda Paloma – níl a fhios agam cad as a bhfuair sé an t-ainm ach sin scéal eile. Is é an fiúntas a bhaineann le saothair den chineál seo agus saothair údair eile, go h-áirithe Ré Ó Laighléis agus Méadhbh Ní hEadhra, go bhfuil siad ag mealladh leitheoirí óga. Léitheoirí is mó atá ag teastáil – cé nach féidir liom locht a fháil ar an scéim nua atá á reachtáil ag an Fhoras ‘ Scríobh Leabhar’. An cheist a bheadh agam ná seo: céard a dhéanfaidh na páistí atá á spreagadh chun ‘leabhair’ a scríobh nuair atá siad ag iarraidh, amach anseo, tabhairt faoi úrscéal Ghaeilge a scríobh? Níl a fhios agam – nó ag aoinne eile, thabharfainn buille faoi thuairim – conas mar a dheineann Foras na Gaeilge leabhair a cheadú nó a dhiultú? An bhfuil ‘fochoiste’ ann chun seo a dhéanamh, in áít a bhíodh bórd ann roimhe? An bhfuil aoinne ar an bhfochoiste sin le h-eolas beacht ar na leabhair Ghaeilge atá de dhíth? Ar ndóigh tá leabhair faoin nGaeilge á fhoilsiú? Foilsíodh an leabhar ‘A New View Of Irish’ anuraidh – Cois LIfe a d’fhoilsigh agus Caolfhionn Nic Pháidín, comhalta boird ar Fhoras na Gaeilge, agus Seán Ó Cearnaigh, feidhmeannach sinsearach san Fhoras, a bhí ina h-eagarthóirí ar an saothar. Cheapas nárbh fhiú morán an leabhar sin – taobh amuigh de leithéidí Lillis Ó Laoire is Breandán Delap, is beag meas a bheadh agam ar dhearcadh dhuine ar bith a scrígh ann. Agus sin ráite, d’fhéadfainn easaontú lena dtuairimí siúd freisin! Tugaim faoi ndeara freisin go bhfuil leabhar nua ar an mhargadh faoi oidhreacht an Phiarsaigh, leabhar eile lán le h-aistí troma faoin réabhlóidí. Is cosúil go bhfuair an leabhar seo tacaíocht ó Fhoras na Gaeilge agus mura bhfuil dearúd orm is saothar dhá theangach é. Tá ard mholadh faighte aige ó phearsaí ní lú ná Ruth Dudley Edwards, údar ar bheathaisnéis an Phiarsaigh roimhe seo agus mór phearsa i Scoil na nAthscríobhaí Staire. Ag an am chéanna, má tá acmhainní an Fhorais á chaitheamh ar shaothair troma acadúla in áít ar leabhair éadroma siamsaíochta is bleachtaireachta, tá lúb ar lár ann. Caithfear nós na leitheoireachta a chur mar shíol sa leitheoir óg le go bhfasfaidh sé. Agus is léir nach bhfuil seo ag tarlú mar is ceart. Tá an ceart glan ag Pól Ó Muirí an ceist a chur faoin mbealach atá Foras na Gaeilge ag caitheamh le leabhair Ghaeilge agus le spreagadh is tacú údair chun leabhair Ghaeilge a scríobh. Tá sé ag tochas a cheirtlín féin, gan amhras, ach ní h-ionann sin agus a rá nach bhfuil tabhacht leis an méid a deir sé dúinn go léir ar suim leo léamh agus scríobh na Gaeilge. Tá dearcadh ‘frith óige’ léirithe ag an bhForas go dtí seo i réimse na litríochta is na h-iriseoireachta nó tharraing siad siar tacaíocht don nuachtán laethúil Ghaeilge, tá tarraingt na gcos ar siúl faoin tacaíocht don nuachtán seachtainiúil Ghaeilge agus níl aon tacaíocht ar chorr ar bith á thabhairt do na tograí is bisiúla in iriseoireacht na Gaeilge, nós* agus An Druma Mór/Nuacht 24. Foilsiú: 03/06/2009 . igaeilge a d’fhoilsigh. Ranganna: An Ghaeilge, Cúrsaí Reatha, Cultúr. Clibeanna: Bórd na Leabhar Ghaeilge, Foras na Gaeilge, Irish Times, leabhair Ghaeilge, nós*, Pól Ó Muirí. Le déanaí fuaireas litir ó Comhar i mBaile Átha Cliath ina raibh bileog amháin stapláilte le leath bhileog dea mhéine. Ar an mbileog seo bhí ráiteas maidir le cúntais na h-irise. Ní fheadar cén fath ar seoladh an t-eolas seo chugam. Nior iarras é. Ach is dócha go raibh muintir Comhar ag iarraidh bheith cuiditheach liom ós rud é gur léiríos suim san ábhar anuraidh. 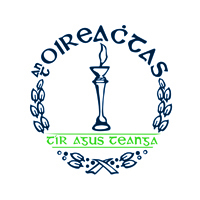 De réir an raitis sin d’ioc Foras na Gaeilge deontas de €35,874 le Comhar Teo le linn 2008. Le linn na bliana céanna d’fhoilsíodh trí eagrán de Comhar. Sin cothrom le €11,958 in aghaidh gach eagrán. Níl a fhios agam cén díolachán atá ag Comhar – ach fiú má thugaimíd an 1,000 coip a luaigh an Sunday Tribune leis an díolachán do, bhuel, fagann sin go bhfuil deontas de €11.95 á fháil ag gach cóip de gach eagrán a dhíoltar. Níl ach eagrán amháin de Comhar feicthe agam i mbliana agus táim im chónaí sa Ghaeltacht, áit inar díoladh Lá Nua agus ina bhfuil Foinse fós á dhíol ag an trí shiopa ina dhíoltar nuachtáin. An eagrán a chonac, ní raibh morán brí leis. Nior thugas faoi ndeara go raibh aon rud nua-fhísiúil ag baint leis, faoi mar ar gheall an bórd go mbeadh nuair a rinne siad achomharc chuig an Fhoras faoin chinneadh a glacadh i nDeireadh Fómhair 2007 gan deontas a cheadú don iris an uair sin. Ach fiú dá mba é an iris ab fhearr riamh, dá mbeadh sé leath chomh tarraingteach le nós* ina leagan amach nó an triú chuid chomh suimiúil le Time nó an New Yorker ina chuid ábhair, bheadh ceisteanna le togáil faoin fhordheontas ollmhór in aghaidh an eagráin atá á íoc leis ag an bhForas. Dar liomsa níl luach ár gcuid airgid á fháíl againn agus más amhlaidh go ndeir daoine nach bhfuil an ceart agam é sin a rá gan níos mó eagráin den iris a bheith feicthe agam, déarfaidh mé an méid seo. Nior cheart go mbeadh sé ró dheacair an iris a dháileadh go Múscraí nó fiú é a chur ar fáil, ar bhonn síntiúis, ar an idirlíon, mar atá á dhéanamh ag nós* agus ag Nuacht 24, saor in aisce, agus Lá Nua/Lá rompu. Tuigim go bhfuil sé ráite le déanaí ag Foras na Gaeilge go bhfuil athbhreithniú iomlán ar bun ar an gcaoi a chuidíonn an chomhlacht teanga leis na meáin Ghaeilge. Athbhreithniú é seo atá ar siúl le blianta fada, chomh fada is a thuigim, nó bhíos den tuairim gur deineadh athbhreithniú iomlán ar an gcaidreamh seo sara fograíodh an chomórtas le h-aghaidh nuacht fhoilseachán laethúil cothrom an ama seo i 2006. An é seo an t-athbhreithniú céanna nó an ceann eile arís atá i gceist? Níl a fhios agam cá stopann athbhreithniú amháin agus cá dtosnaíonn athbhreithniú eile. Táim caillte i lubrán na n-athbhreithniú! Tá seo ráíte i litir a h-éisíodh le déanaí ón bhForas – ach ag an am chéanna, tá an Fhoras ag plé le Moinéar Teo. faoi chonradh nua Foinse. Bhí seo le bheith socruithe i bhfad ó shin – ag deireadh 2008 nuair a chriochnaigh an chonradh deireannach a bhí idir Moinéar agus an Fhoras. Ach de bhrí ná raibh an Foras ullamh, cuireadh síneadh leis an gconradh go dtí deireadh mhí an Mhárta. Go fóill níl aon deatach bhán ó Chearnóg Mhuirfean ar an gceist. Agus anois go bhfuil ‘athbhreithniú’ ar bun an é go bhfuil siad chun aontú an chonartha a chuir ar an méar fhada go dti go mbeidh an athbhreithniú thart nó Lá Pilib a’Chleite/Lá Eoghain Dic….? Ag an am chéanna tá Foinse ag foilsiú leis agus an sruth airgid a bhí ag sní isteach go dtí cúntais an nuachtáin ó fhograí stait imithe i leig go mór. Go deimhin is minicí a fheicim fógra ó Roinn an Fheidhmeannais ó thuaidh nó rannóga rialtais ó dheas anois i ‘bpríomh nuachtán náisiúnta na Gaeilge’. Níl aon suim leasmhar agam i nós* – cé go bhfuil cara liom mar eagarthóir ar an iris. Chuireas alt amháin ar fáil don iris agus nior lorgaíos iocaíocht air. Ach feictear dom go bhfuil sé thar a bheith míchothrom go bhfuil an iris sin fagtha gan deontas ar bith agus Comhar ag fáíl breis is € 11,000+ in aghaidh an eagráin – cheapfá le féachaint orthu gurb é Comhar an t-iris atá gan airgead agus gurb é nós* atá saibhir…. Fógraíodh inné go raibh an tAire Ó Cuív ag daileadh a ghrastaí ar Raidió Rí Rá agus ag bronnadh deontas €40,000 ar an staisiún. Cuireadh failte roimis an bhfógra seo inné – cé gur doigh liomsa gur suarach an méid é i gcomórtas leis an t-airgead atá geallta aige le h-aghaidh an dara aonad aistriúcháin agus stiurthóír a bheidh ag déanamh ‘athbhreithniú ar an gCaighdeán Oifigiúil’, (eag: múscail mé ón dtromluí seo), amhail is go ndéanfaidh sin athrú ar an slí a labhrann is a úsáideann daoine an Ghaeilge. Má theastaíonn ón Aire an Ghaeilge mar a labhartar í sa phobal agus mar a scríobhtar í a shimpliú ar shlí eigean, ní gá do ach an €3m atá á chaitheamh aige ar an dara aonad aistriúcháin seo a infhéistiú sna meáin Ghaeilge – idir Raidió Rí Rá, Raidió na Life, Raidió Fáilte, Anocht FM agus nós* mar thús – ansan comórtas a fhogairt le h-aghaidh foilseachán dirithe ar pháistí óga, iris sheachtainiúil do bhuachaillí agus do chailíní scoile le leaganacha Ghaeilge de scéalta Ben 10 nó Barbie agus fiú Fionn agus na Fianna is Cú Chulainn. D’fhéadfaí roinnt airgid a chaitheamh freisin ar shuíomh idirlín le leaganacha Ghaeilge de chluichí bunaithe ar charaictéirí chartúin a bhionn á chraoladh ar TG4….Dora, Batman agus a leithéid…..
Nílim a rá nach bhfuil gá go ndéanfaí aistriúchán ar na h-ionstraim reachtúla nó go ndeinfear simpliú ar an gCaighdeán Oifigiúil amach anseo – ach níl sé práínneach ANOIS. Dein an infheistíocht atá á mholadh agam agus is mó an seans go mbeidh an t-éileamh an i gceann deich nó scór de bhlianta – agus na h-acmhainní freisin – le h-aghaidh an obair aistriúchán atá molta ag an Aire. Idir an dhá linn, beidh cruinniú bhliantúil ag Comhar i gceann coicíse nó mar sin. Ba cheart do bhaill na cuideachta sin a thuiscint nach bhfuil an t-iris atá á fhoilsiú faoi ainm uasal na h-irise sin inchurtha leis an ré seo. Iris sean fhaiseanta gan splanc na nuálachta é, gan aon sort tuiscint ar an rud atá ag teastáil ó leitheoirí na Gaeilge sa nua-aois. Iris analógach don ré digiteach. Níl aon dealramh ag an suíomh idirlín le suíomh iris ar bith eile. Níl aon rud ar Comhar a mheallfadh mé chun eagrán na míosa seo a cheannach nó, fiú dá mbeadh, níl aon slí ann chun sintiús a cheannach. Bheadh an iris ina cheap magaidh murach go raibh an oiread san airgead phoiblí á infheistiú ann. Foilsiú: 26/05/2009 . igaeilge a d’fhoilsigh. Ranganna: An Ghaeilge, Cúrsaí Reatha. Clibeanna: An Chaighdeán Oifigiúil, Comhar, Foinse, Foras na Gaeilge, Maorláthas Ar Mire, Na Meáin Ghaeilge, nós*, Raidió Rí Rá. Eagras é Comhluadar atá árd mheas agam air nó tá an obair á dhéanamh ag Feargal agus Nicole is eile chun tacú le tuismitheoirí fud fad na tíre atá ag iarraidh a bpáistí a thogáíl le Gaeilge. Seo chughaibh anois iris don aos óg, Splunc!, agus caithfidh mé a rá go bhfuil sé thar a bheith snásta agus ‘glossiáilte’. Greannán atá ann le scéalta ann faoi Celt, Liam Leisciúil agus Cill Chleasaí is eile – agus táim ag súil nuair a thabharfaidh mé abhaile é go mbainfidh Art agus Danú, mo pháistí féin spraoi agus sult as. An t-aon rud a thugaim faoi ndeara mar gheall ar an iris nach bhfoilseofar é ach, de reir dealraimh, dhá nó thrí uair sa bhliain nó luaitear ‘Fómhar/Geimhreadh’ le Eagrán 1 den iris gealgáireach seo agus tá ‘Earrach/Samhradh’ luaite leis an dara eagrán. Is é an t-aon locht atá air, mar sin, chomh h-annamh is a fhoilsítear é.
Níl aon locht ar Chomhluadar as seo, dar liom. Tá an iris seo ar fheabhas – ach tá sé costasach a leithéid d’iris a fhoilsiú agus ní fheicim aon urraí mór luaite leis. Is é seo an chineál irise atá de dhíth chun daoine óga a spreagadh chun an Ghaeilge a léamh. Tabhair dom léitheoir Splunc inniu – agus tabharfaidh mé duit léitheoir ‘nós’ amarach. Agus an lá ina dhiaidh sin b’fhéidir go mbeidh leitheoir leabhair Ghaeilge agat. Maith sibh, a lucht Chomhluadair! Sin dea obair atá ar bun agaibh. Foilsiú: 13/05/2009 . igaeilge a d’fhoilsigh. Ranganna: An Ghaeilge, Cultúr. Clibeanna: An tAos Óg, Comhluadar, nós*, Splunc.